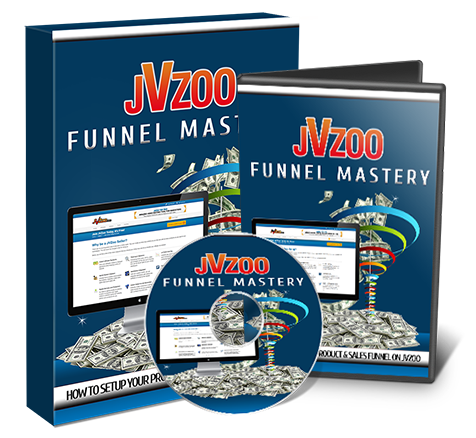 A Complete Guided Tutorial on JVZOO Affiliate Sales Funnels Mastery. This Step By Step Over The Shoulder You Watch & Learn Copy. Will Teach You Everything You Need To Know About Running Successful Sales Funnels. This video course will take you behind the scenes to help you understand how to achieve this without spending days or weeks banging your head against the wall trying to figure things out. When it comes to selling your products and services online, you need to have the ability to take payments and deliver your product on autopilot. You don’t have time to deliver the products or services manually, do you? To do this you need to have a good shopping cart platform that integrates not only with payment processors, but into your autoresponder system and everything else. Now while this idea sounds great, the big problem is, how many of you have actually executed this concept successfully? Truth be told, the majority of people we have encountered said that they hadn’t. Have you ever wanted to set up your sales funnel so that you sell the front-end offer with several upsells or one-time offers? The reality is that the JVZoo shopping cart system provides you with tons and tons of features, but can still be an overwhelming and complicated process once you dive in. Fortunately for you however, we have gone through the many days required to figure things out, and we can now teach you how to do it all. What you will receive ..